For good and for ill, “just because we can” might as well be the modus operandi of the internet. But if it gives us creatures like Neil Cicierega and his suite of Dada-esque cuts and mashups, then it’s worthwhile. 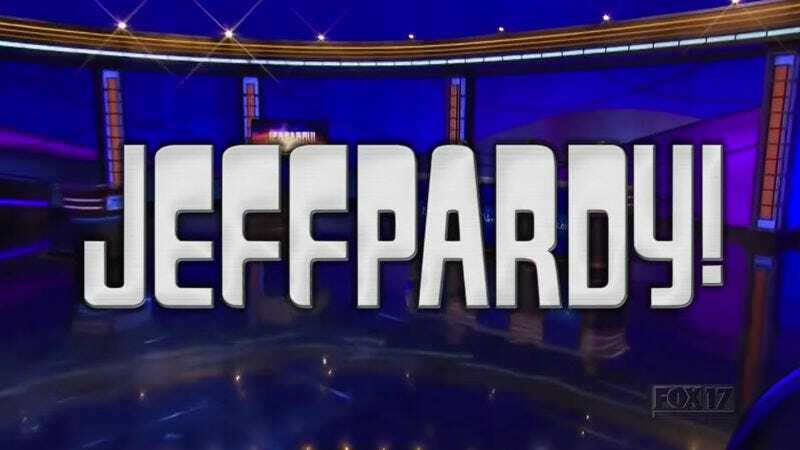 “Jeffpardy!” by YouTuber gr18vidz14kidz taps the same absurdist vein as Cicierega, replacing all of Jeopardy!’s contestants, questions, and answers with “Jeff.” Edited together from show #6914, which featured the category “Jeff,” “Jeffpardy!“ is deeply stupid but still worth a chuckle. For all the Jeffs out there, this Jeff’s for you.